2016 Annual Awards Banquet: Come Join Us! The Annual LEA Legislative Awards Banquet will be held on Thursday, March 3rd, 2016, in the Coral Room at The Mermaid Event Center, 2200 County Hwy. 10, Mounds View (near Ramsey Co. Rd. H, just northwest of junction of Hwy. 10 and I-35W) free parking and entrance are on the west side, in back of the building. Honorees: Senators Bruce Anderson, Michelle Benson, Dan Hall, Mary Kiffmeyer, Branden Petersen, and Dave Thompson. Honorable Mention: Senator Ortman; Representative Drazkowski. Social Hour and Registration Begins at 5:30 P.M. — Dinner 6:30 P.M. Some Minnesota schools are failing to foster learning. What are the keys for creating spaces that allow for healthy learning experiences? Devin Foley has a degree in history and political science from Hillsdale College in Michigan. Prior to co-founding Intellectual Takeout, Mr. Foley served as Director of Development for the Center of the American Experiment, a Minnesota free-market and conservative policy think tank. He currently lives in Apple Valley with his wife and their five children. Renee Doyle has a bachelor’s degree from Bethany Lutheran College. She is one of the founders of Genesis Classical Academy in Winnebago, MN. Genesis is a new private, Christian school, where the teaching sequence is based on the Latin Trivium of grammar, logic and rhetoric. 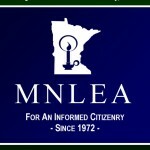 Mrs. Doyle is also one of the directors of the MN Child Protection League. Renee has been married to her husband, Guy, for 40 years. They have three children, and five grandchildren with another on the way. Prior to her position at Genesis, Mrs. Doyle served on the Maple River School Board, a district that includes a high school in Mapleton, MN. She resigned from that board, helped start the EdWatch grassroots organization, and became an effective critic of the state’s Profile of Learning graduation standards. More recently, she served as a Legislative Director during Michele Bachmann’s tenure in Congress. Come join us for an evening with supporters of constitutional government from across Minnesota as we gather to hear from LEA’s legislative honorees and present LEA award-plaques to those who earned honors in our 2015 report. Legislative Evaluation Assembly, P. O. Box 25803, Woodbury, MN 55125, or click here. What is your deadline for a dinner reservation? Our President, John Augustine will contact you. Is it too late to buy a dinner ticket? I see the PayPal link is still open. Thanks!